I have a great love of Cook books. I thought I would share some of my favorites. I will be adding to this page as I go so feel free to keep on checking for new ones. 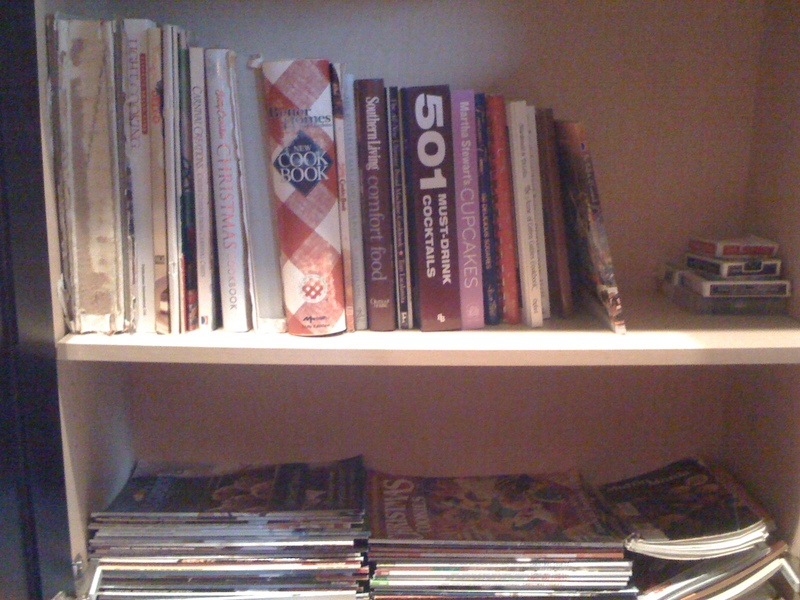 I find before I buy a new cook book I like to get it out of the library, that way if there is only a few recipes I want to try I can just write them down, but if there are many I know it is worth the purchase. Here are a few favorites from my collection. 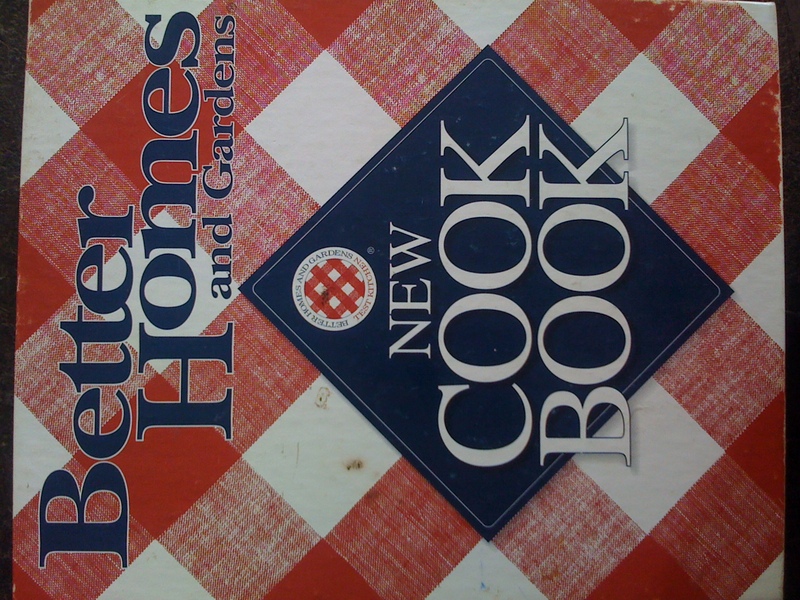 Better Homes and Gardens : This is a great everyday basic cook book. It has the basics covered. If you were only going to have one cook book this is the one I would recommend. Makes a great gift for bridal showers. Great American Brand Names Cook Book– another great basic recipes book. This one’s recipes are a little fancier than BH&G. It has colorful photos on every page so it is really fun to look through, and it is huge. The last recipe is on page 575. 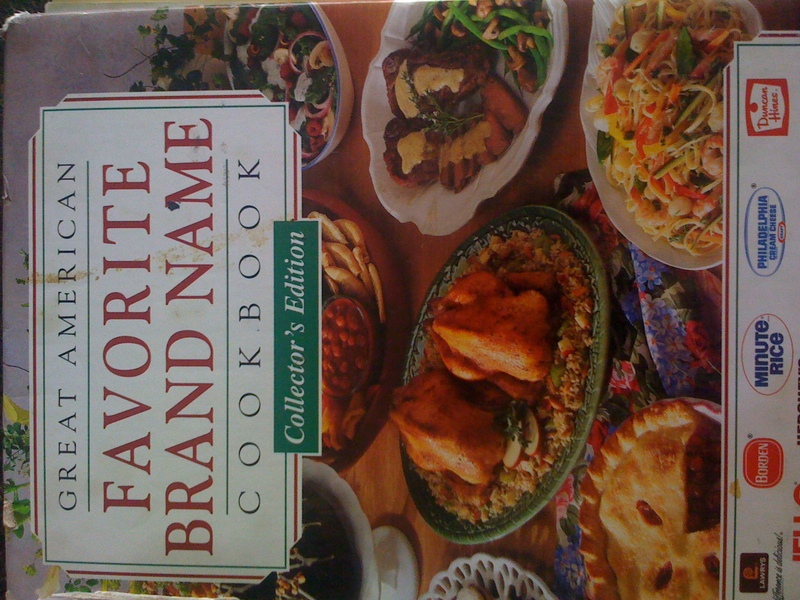 I got this from my Mom at my bridal shower and it was her’s before that, so many family recipes come from this great big book. 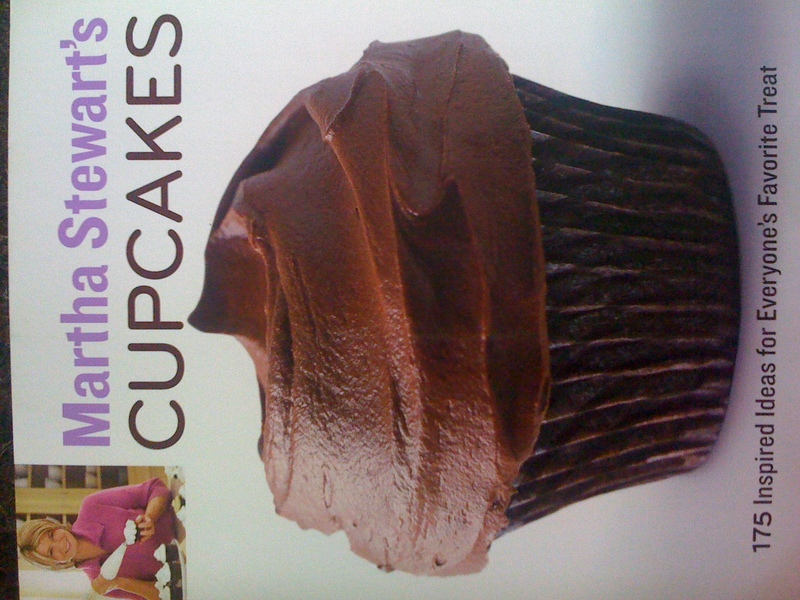 Martha Stewart Cupcakes– Well the name says it all. Martha Stewart is a genius in the kitchen. I promise you will be drooling as you flip through this baby. It has almost any cupcake flavor that you could imagine. The Red Velvet’s are especially good. One of my favorite Christmas gifts of last year. 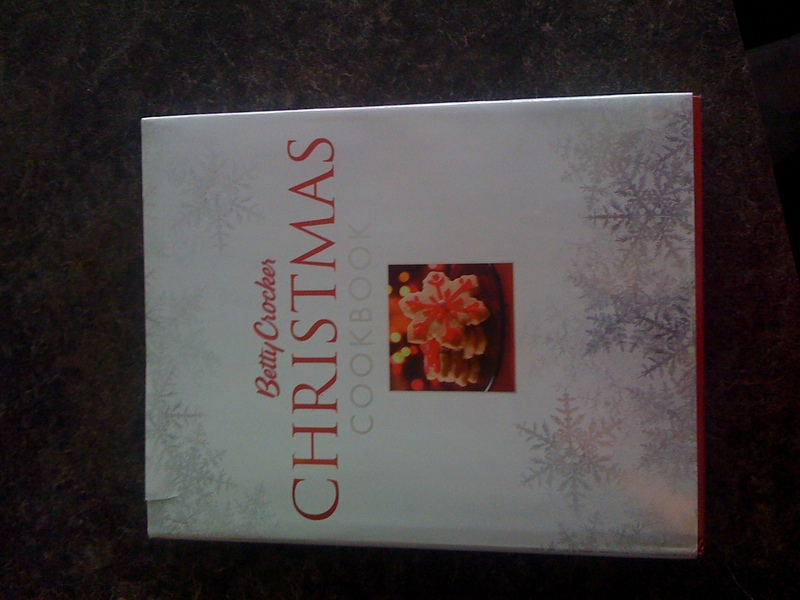 Betty Crocker Christmas Cook Book– Anyone who knows me, knows I am a Christmas fanatic. I put up my tree on November 1st. I bring out the CD’s in October, so when I saw this cook book at a garage sale for 1 dollar I knew I had to buy it. Am I ever glad I did, it is filled with yummy recipes, a few craft ideas and lots and lots of pictures. It has by far the best recipe for ginger snaps I have ever tasted ….in my life. Feel free to use it all year, I do! 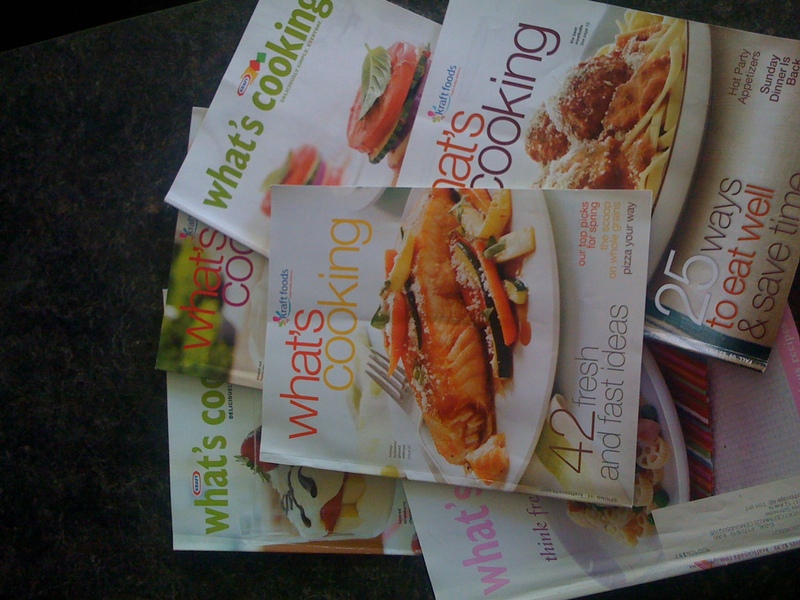 Kraft What’s Cooking Magazines– These are seasonal magazines sent in the mail. They are filled with delicious recipes and usually a couple coupons too. I love how they are themed and sent for the season that is just around the corner. It’s a happy day when my new recipes come in the mail. The All New Ultimate Bread Machine Cook Book– A wonderful cook book if you are a bread machine owner. With 101 recipes all for the bread machine, you will never get bored bringing it out. Obviously I havent tried them all(yet) but our favorites are the Old Fashioned Oat Bread, Fresh Herb Bread, and the TRaditional Thin Pizza Crust. Plus you get the bonus that your house smells heavenly whenever you bring your bread machine out! 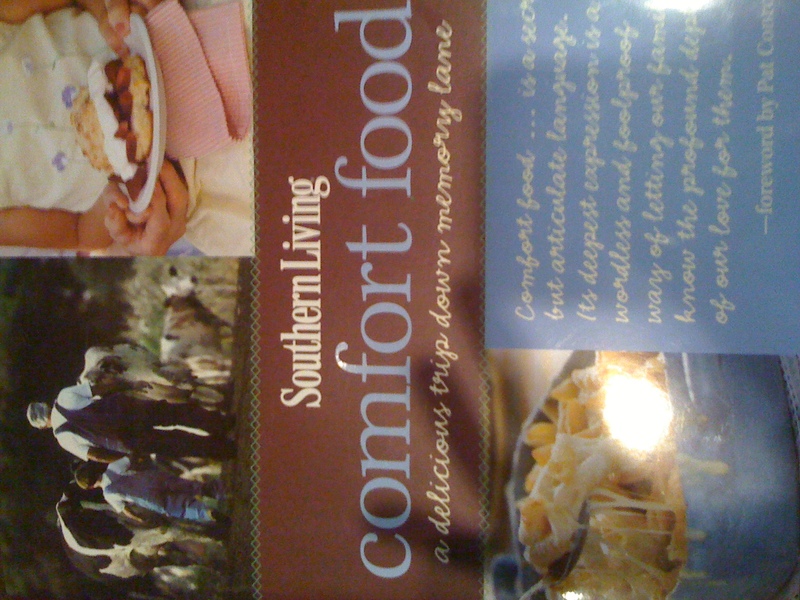 Southern Living Comfort Food– After getting this book out from the library on numerous occasions I was so happy when I found it at a used book store! 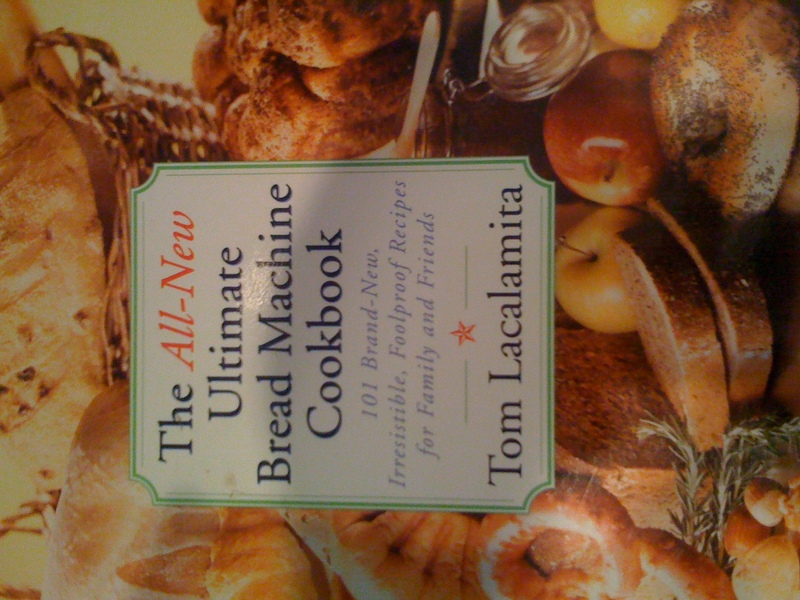 Some of my favorite recipes from this book are the coconut cream pie, caramel cake and pulled pork.